In the spirit of Albrecht Durer, I’ve woven the themes of ancient medicine into the content of this series. However, my images are meant to be unfettered by a governing paradigm. Whereas Durer was obliged to incorporate Catholic tribute along with the introduction of Humors in his series, my current paintings offer only the honoring of the human advancement (though still hinting at the naiveté that was the product of cultural stifling). My images are anatomically incorrect, flawed and marred by a hidden oppressor. William Zdan is an American artist living and working in Los Angeles. Zdan’s work seeks to capture beauty while provoking contemplation. His paintings motivate introspection, fan philosophical bonfires, and comfort aesthetic sickness. Raised in the manufacturing community of Detroit, Zdan often depicts modern industry and its effect on contemporary culture. 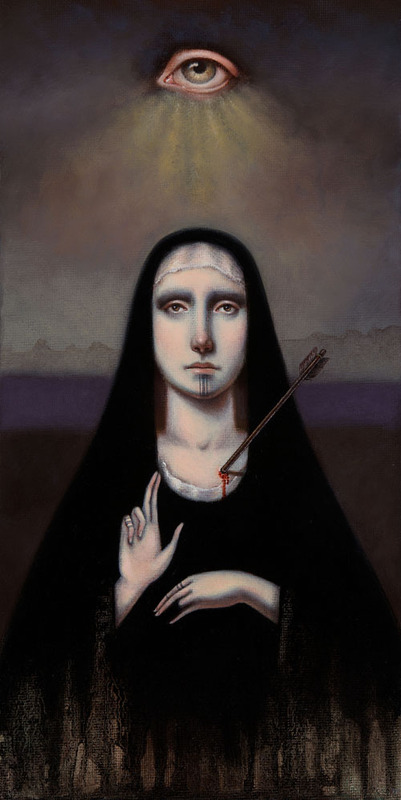 Stylistically, he clashes those themes against classical techniques and introduces historical and religious iconography. Utilizing mediums such as watercolor, graphite, ink, pastel, charcoal, gouache, gold leaf and ink stamp, Chris B. Murray has enjoyed a successful exhibition history in the Midwest. 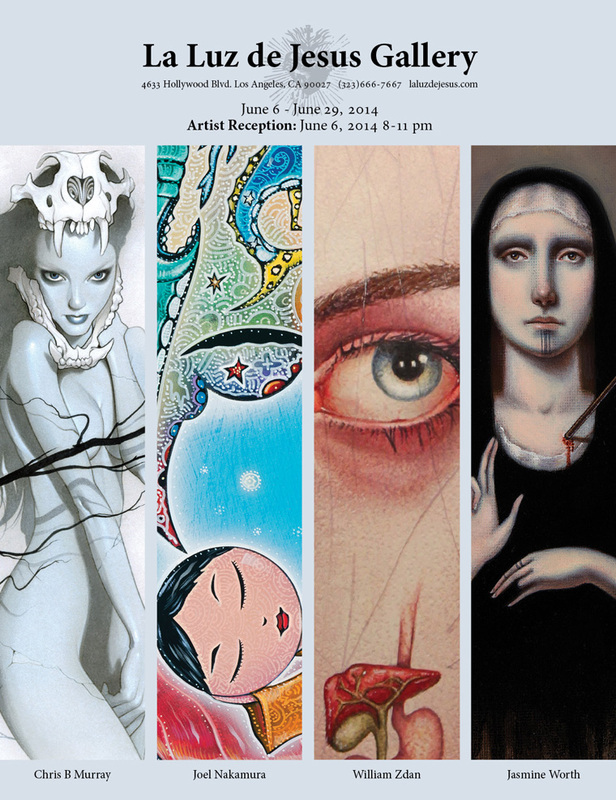 This is his first show at La Luz de Jesus Gallery.